Alter Action was founded in 1996 and is one of the oldest and most established activity operators in Namibia! 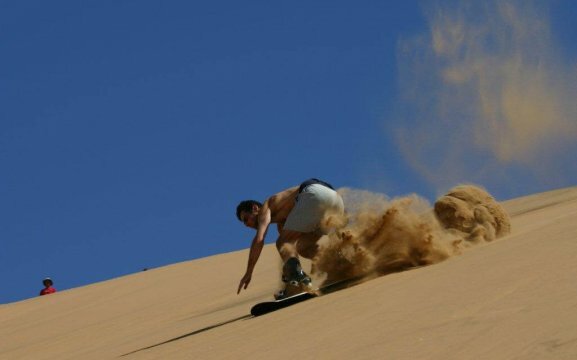 Located in Swakopmund right next to the Namib Desert with its large sand dunes one could not find many better places to go sand boarding. 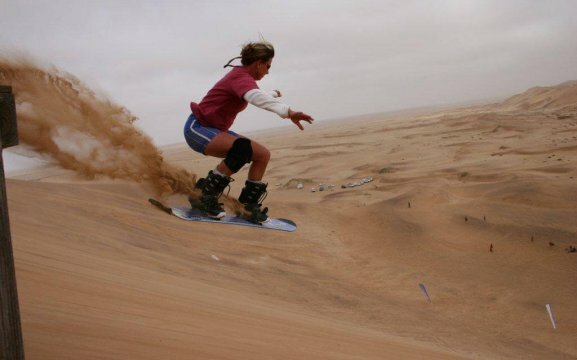 With so many years of experience we have built up our knowledge with regards to using the most effective and safest dunes to use for sand boarding. The ‘star’ shaped dune with its six different sides is the ideal dune for amateurs and experienced sand boarders. These star shaped dunes can reach a height of 100m; the dune that we use is located 11 km’s outside of Swakopmund and we will take you there where you will be taught how to sand board whilst having fun. No experience necessary. You are required to lie on your stomach and glide down the dune head first. It s really easy! An experienced guide will instruct you what to do. ‘Little Nellie’ is the first dune that you will ride down. This ride provides a gentle arc down the dune and boarders get the feel of the ride and enables them to practice in stopping the sand board and steering. The next ride is called ‘Birgit’s Run’ and is another training ride which is longer, faster and steeper than the first dune ride. Then comes the really exciting part – ‘Lizzie’ is the first of the real rides and the sand boarder will feel much more confident and will have got the hang of how to sand board lying down. You are able to reach speeds of up to 60 km/h. It’s so much fun! The tandem toboggan is next and each sand boarder picks a partner and they are sent down a dune together on one board. ‘Dizzy’ is next and is the fastest ride…we put extra polish on the sand boards to increase your speed which can be up to 80 km/h. Many people end up deciding to do this ride more than once! Once again there is no experience necessary but a sense of balance and some boarding experience would be a bonus. For experienced stand up sand boarders we provide snowboards with Formica bases. Otherwise snowboards with soft boots and bindings are used. 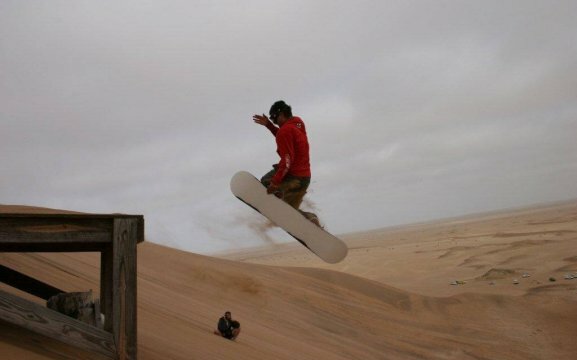 If you are an experienced snow boarder you need to consider that sand boarding & snowboarding are two very different sports…you would need to adjust your standing position and stance slightly. 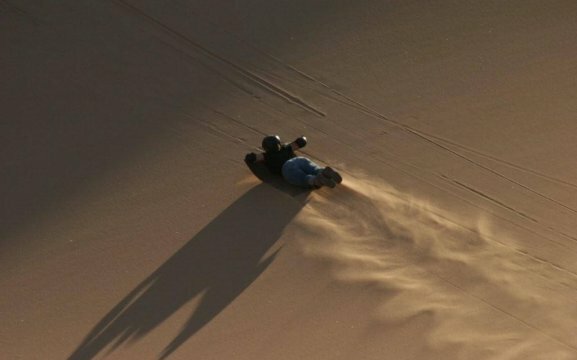 Professional and experienced sand boarding instructors are on the dunes at all times. You will be instructed on how to turn on the dunes and achieve balance. 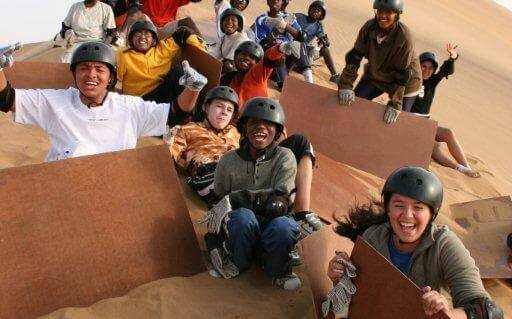 By the end of your sand boarding experience amateur sand boarders will feel confident and ready to take on any dune. 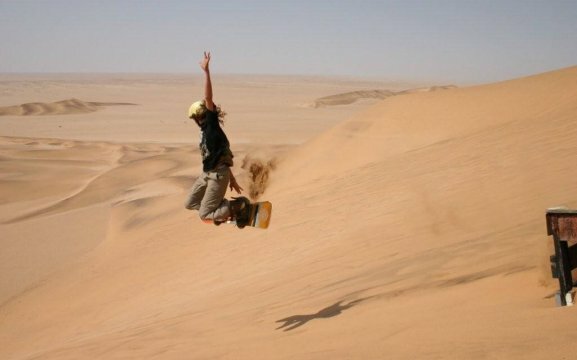 The sand boarding trip leaves every day from Swakopmund at 9:30 and returns to town at 13:30. Sand boarders can be picked up at their accommodation establishment or they can meet at the Far Out Booking Office which is located at 25 Moses Garoeb Street (Amanpuri Travellers Lodge). All Safety gear such as helmets, gloves and elbow pads. Equipment: boards, polish & boots for Stand Up Boarders. Light lunch – we do cater for vegetarians and lactose intolerant people. 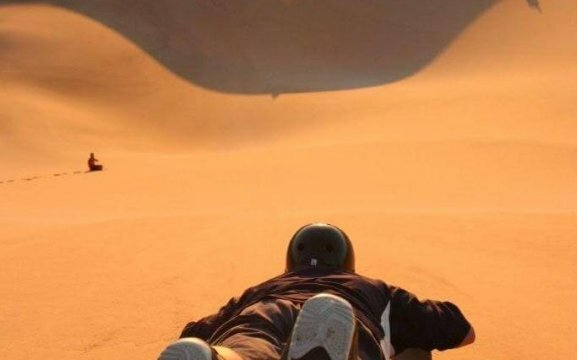 Video of your sand boarding experience. Lie down boarders must bring closed shoes. Socks for stand up boarders. Dress according to weather. Long sleeves and long pants are not necessary for safety reasons. Bring your cameras however make sure they don’t get covered in sand. 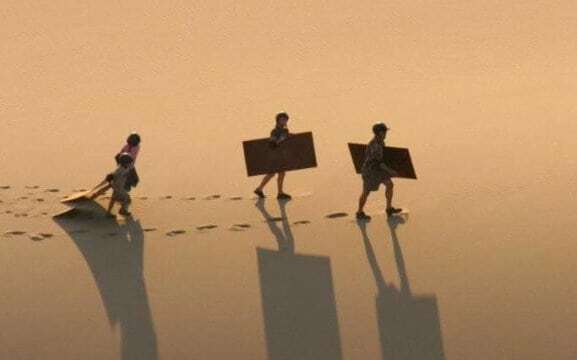 Kids that are 10 years and older tend to be confident on their own sand board. For kids that are younger than 10 it is recommended to ride with a guide. 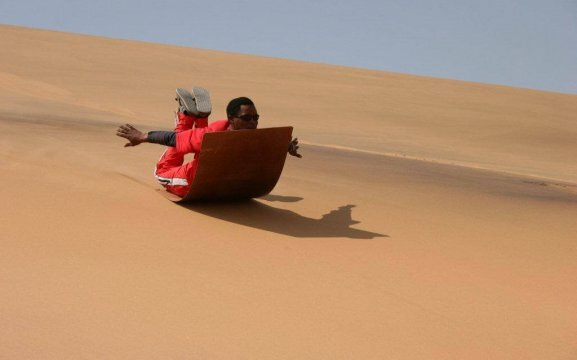 Due to the popularity of our sand boarding trips we recommend booking in advance to avoid disappointment!